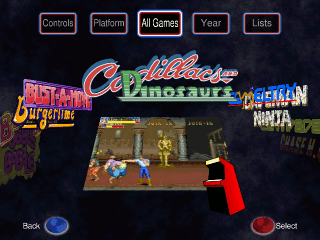 Cabrio is a graphical front end for emulators, specifically designed for use in arcade cabinets. It allows you to select games via an intuitive, attractive interface which is easy to use with limited controls, such as a joystick. Cabrio is made available under the GNU General Public License, meaning anyone can freely download the source code and even contribute to development. Check the download section for the latest releases. See the quick-start guide for a brief, straight-to-the-point installation guide. More detailed documentation can be found in the support section.